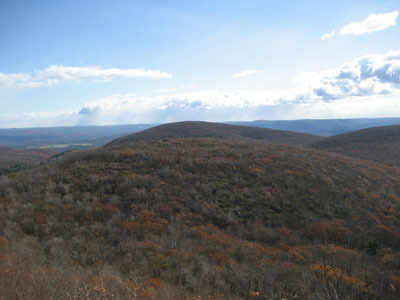 Round Mountain, elevation 2,296', is located between Connecticut's highest elevation (Mt. Frissell) and highest summit (Bear Mountain). Its summit is fairly bare, offering views in all directions. It has a similar feel to that of Mt. Race (just a bit northeast).